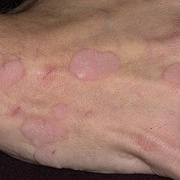 Human papilloma viruses (HPVs) cause warts in people -- whether on the skin or on mucous membranes. 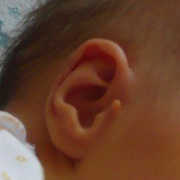 There are over 100 identified types of HPVs. 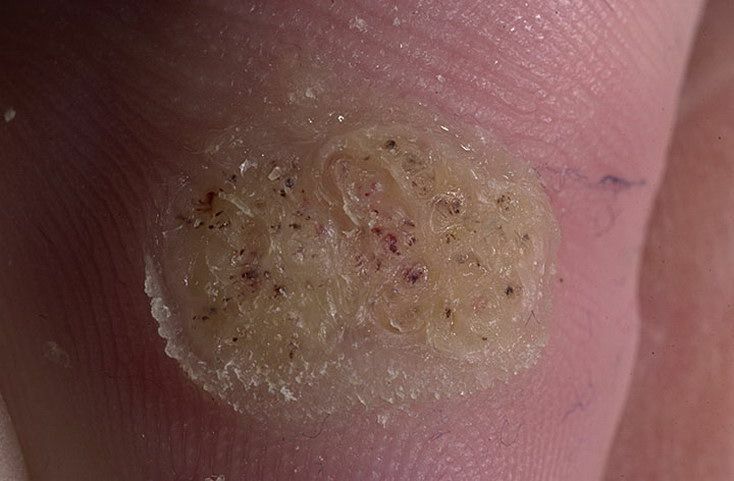 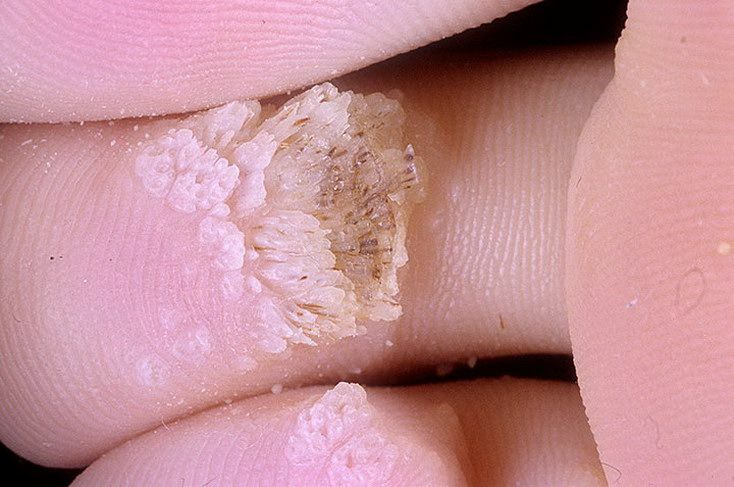 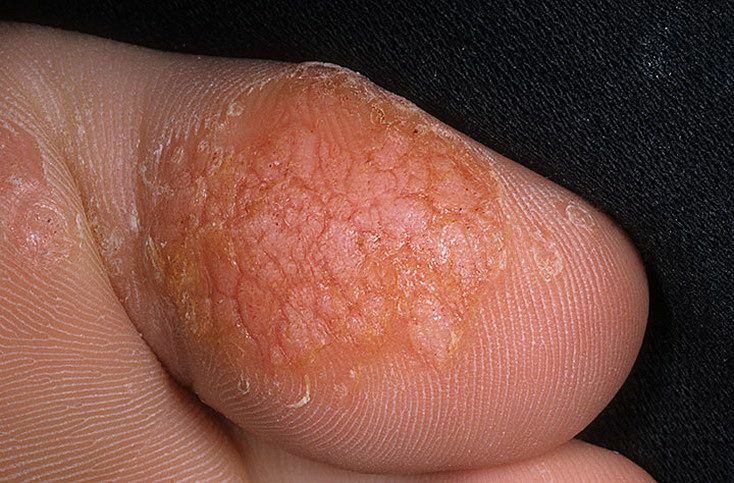 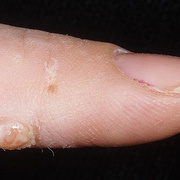 HPVs grow only in humans, and no other causes of warts have been found (it is not possible to get a wart from touching a frog, regardless of folklore). 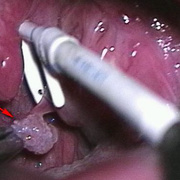 Some HPV types grow best in skin, while others grow best in mucous membranes. 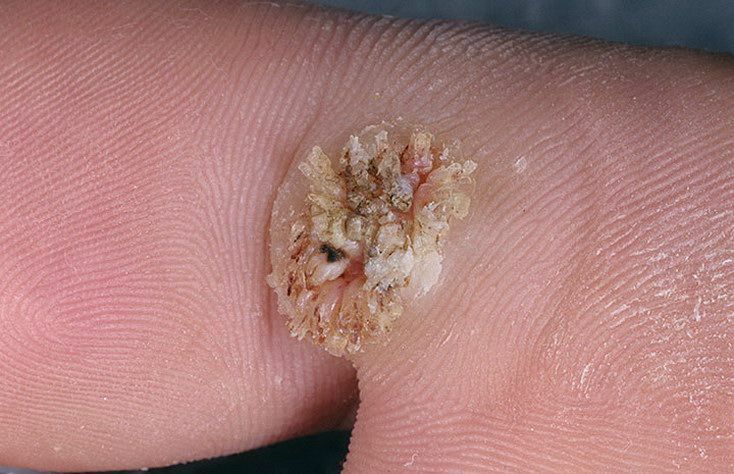 Some types grow only in skin or in mucous membranes, but there are a few which can grow in both places although they may prefer skin to mucous membranes or vice versa. 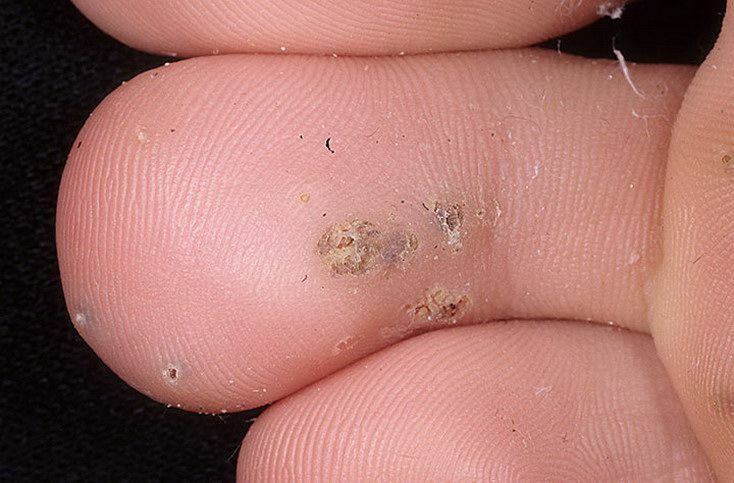 The most common HPV infection is a wart on the skin. 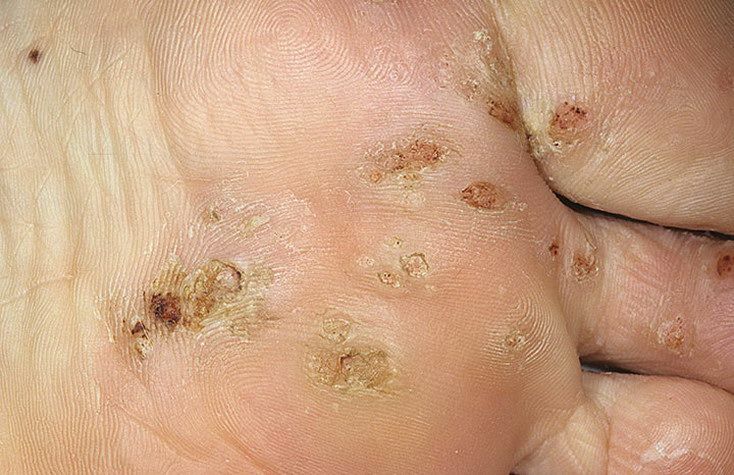 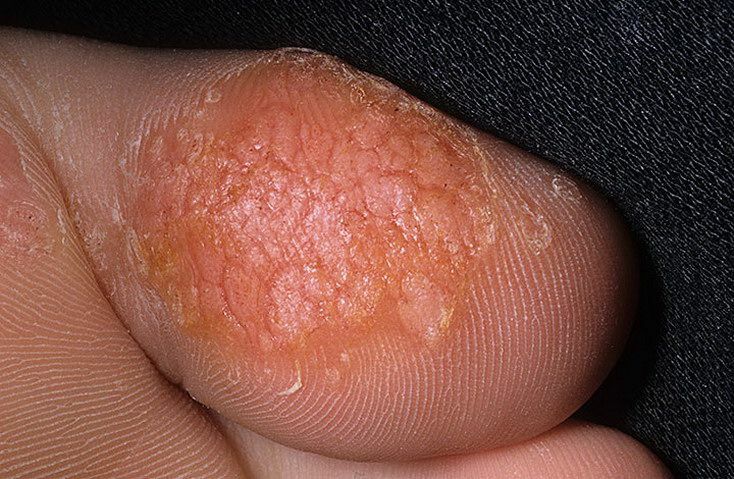 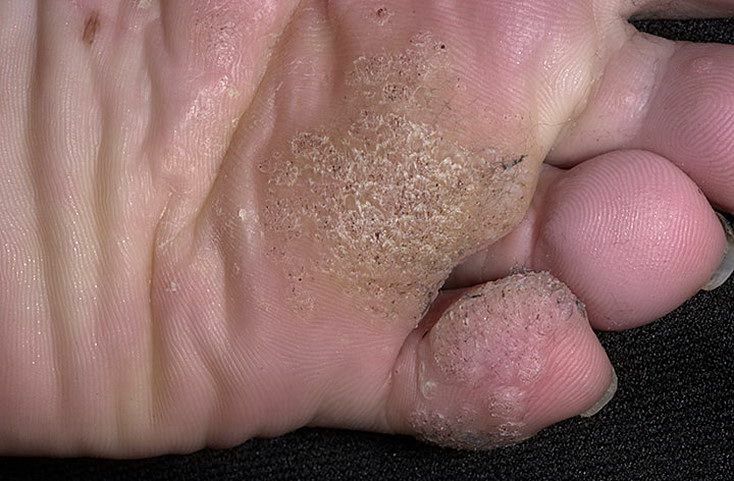 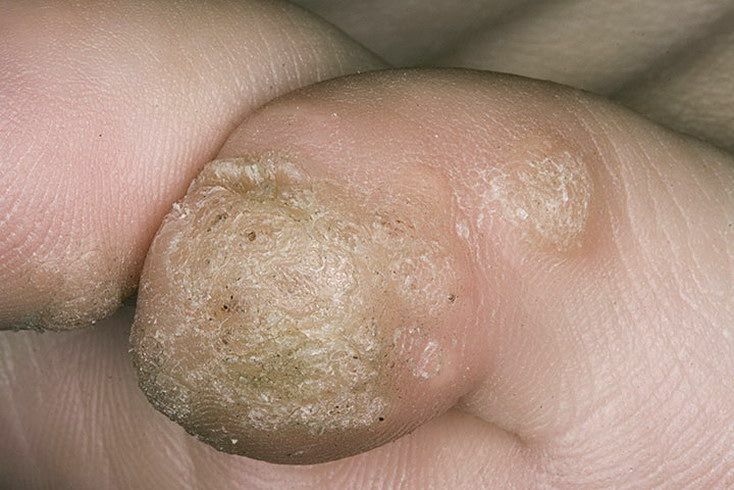 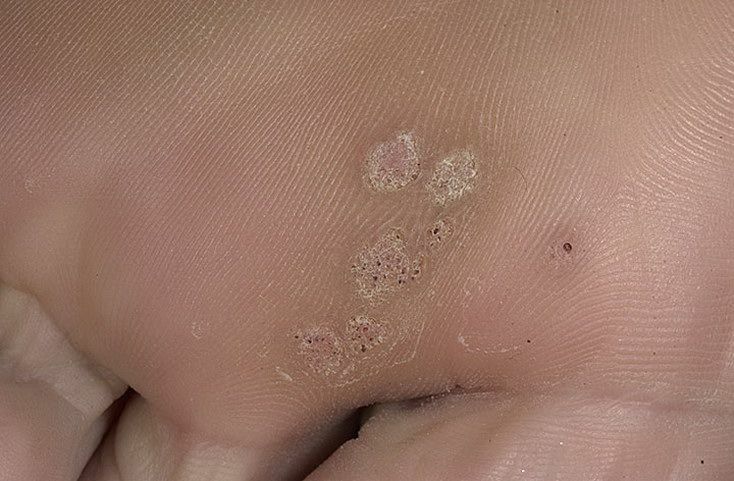 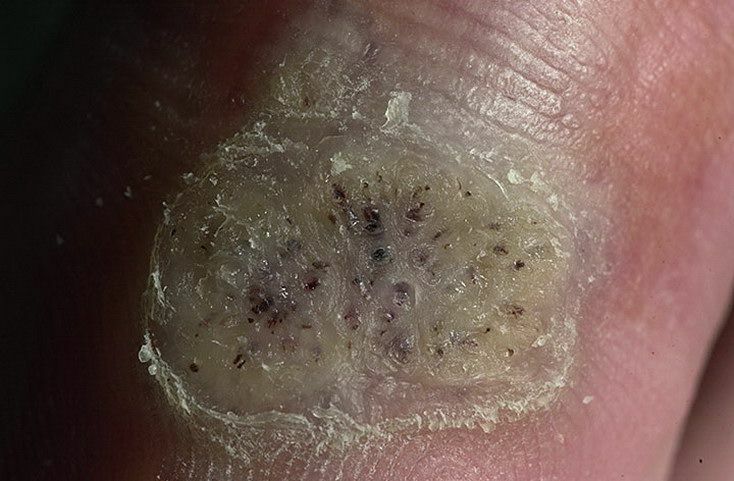 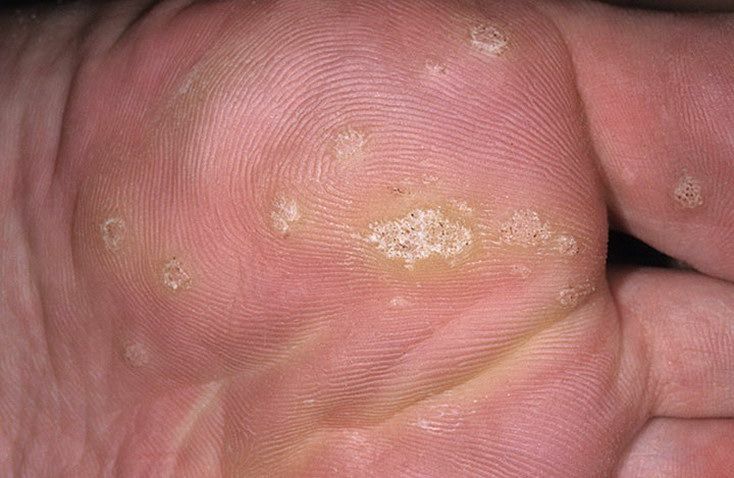 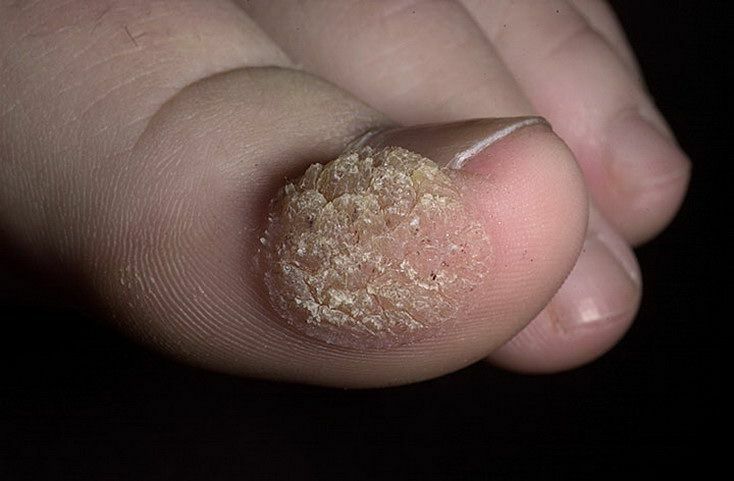 Common warts are rough, hard lumps or plaques (flatter lesions) with a rough, irregular top surface. 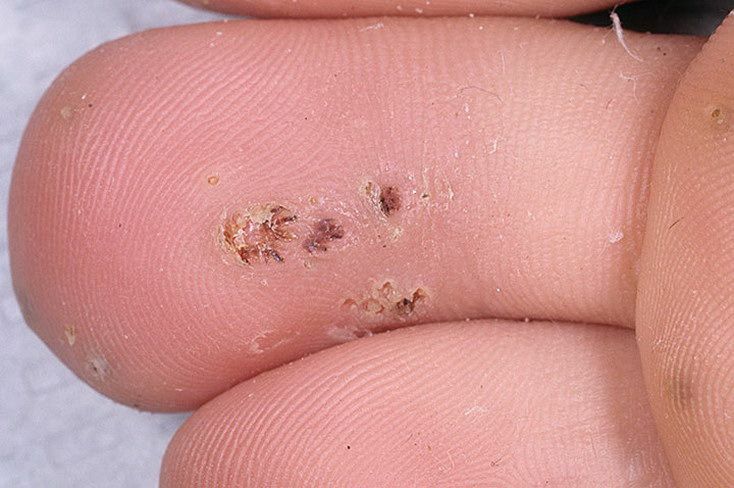 They are found mostly on the back of the hand or the top of the foot, between fingers or toes, near fingernails or toenails. 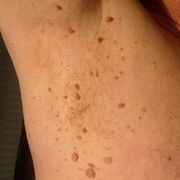 They can also be seen on mucous membranes. 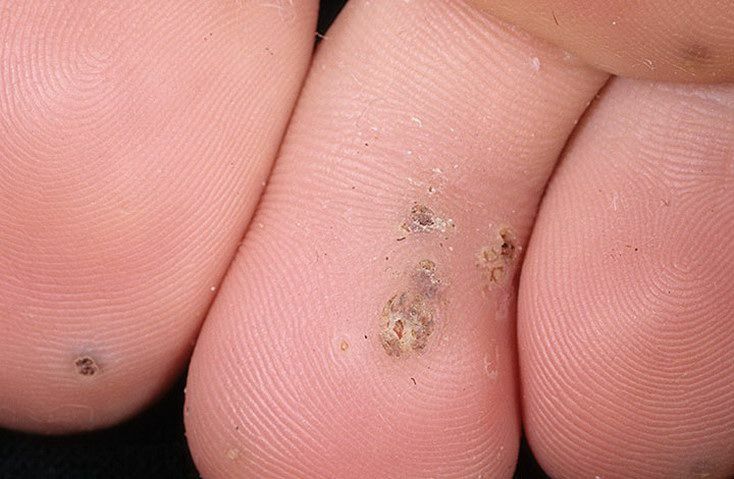 Like all skin warts, HPV causing common warts is transmitted from an infected person, usually by skin-to-skin contact although viral particles may be left on objects (such as shower-stall floors or gym equipment) and picked up by someone else touching the object. 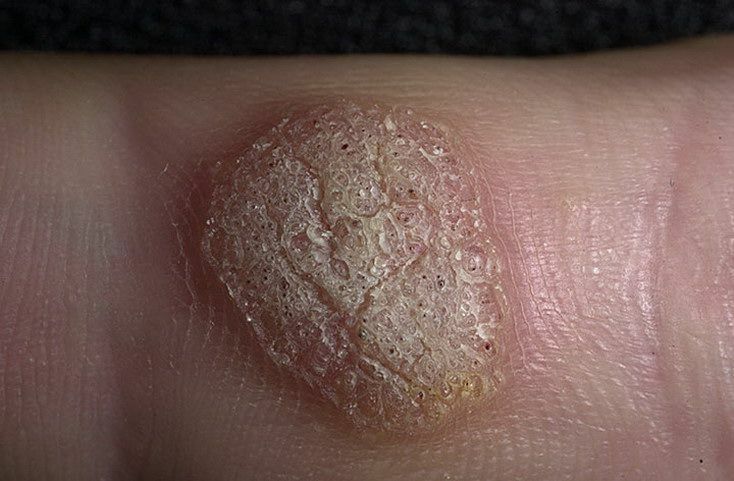 It is possible for HPV to infect unbroken skin, but broken skin certainly makes it easier for HPV to enter, and people with eczema or who have certain kinds of immune problems (such as those caused by AIDS or induced in organ-transplant recipients by antirejection drugs) are more likely to be infected. 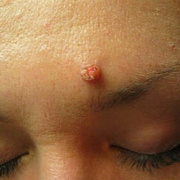 It takes 2-6 months after exposure to HPV to develop a wart.